Several people got in touch with Deeside.com on Saturday evening trying to find out why a police helicopter was over Wepre Park area for a fairly lengthy period of time. 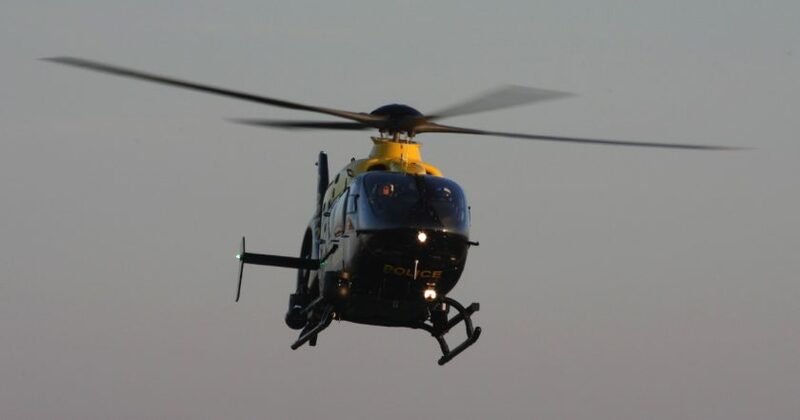 The Hawarden based National Police Air Service helicopter was first seen at around 8.30pm and carried out multiple circuits over Connah’s Quay and Shotton. The powerful ‘Nightsun’ beam from the onboard searchlight could be seen illuminating wooded areas close to Wepre Park as the aircraft circled overhead for around 30 minutes. “On Saturday evening we were called by North Wales Police with regard to a person missing in the Deeside area. “We were called yesterday (March 17, 2019) at approximately 12.10am to an incident near Wepre Park, Connah’s Quay.